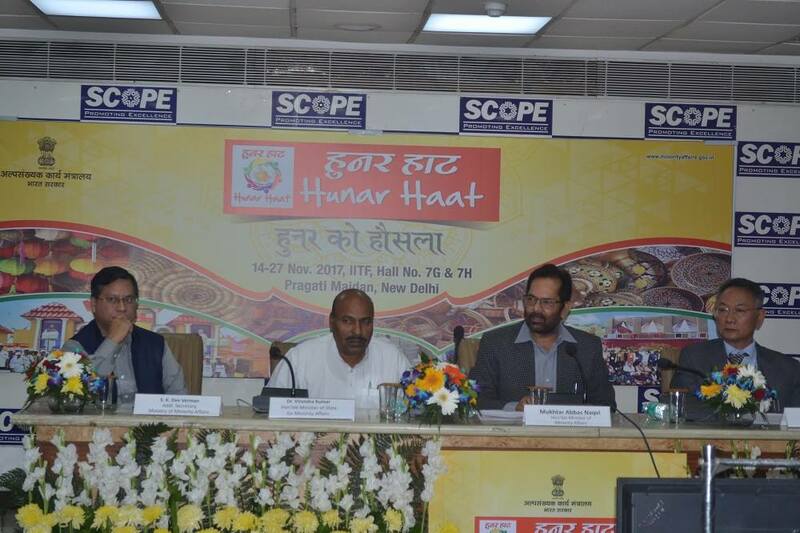 New Delhi, March 23:My Speech on10th Annual Conference of State Minorities Commission. 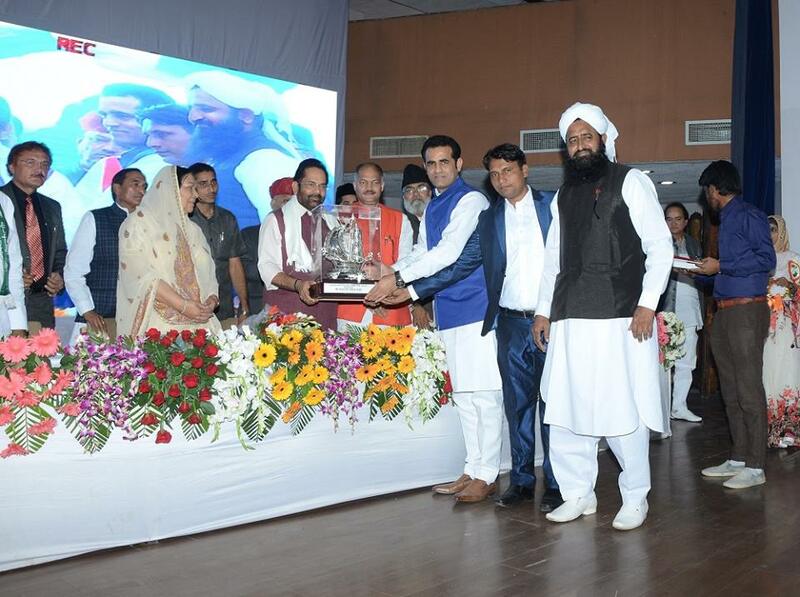 Union Minister of State for Parliamentary Affairs and Minority Affairs Shri Mukhtar Abbas Naqvi today said there is a need to provide a sense of security among the minorities alongwith development and the Narendra Modi government is working in this direction.Addressing the 10th Annual Conference of State Minorities Commissions here, Shri Naqvi said the BJP-led NDA government at the Centre is working with priorityfor educational development, prosperity and security of the minorities. 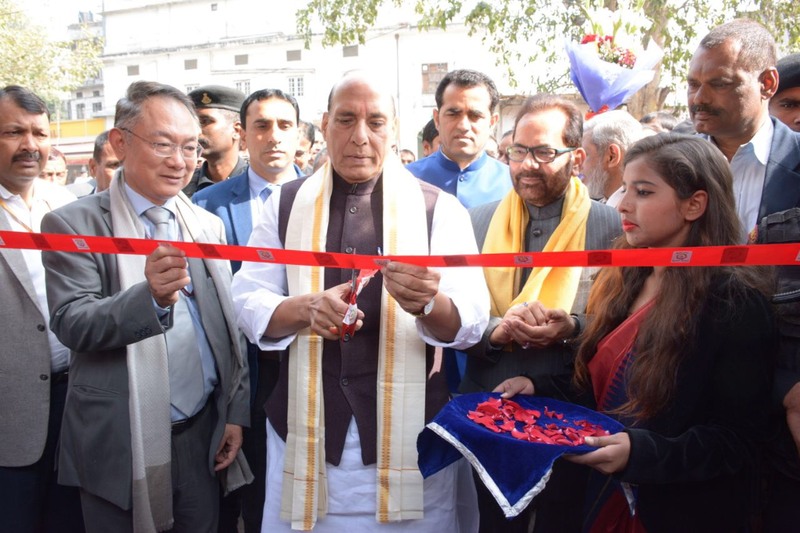 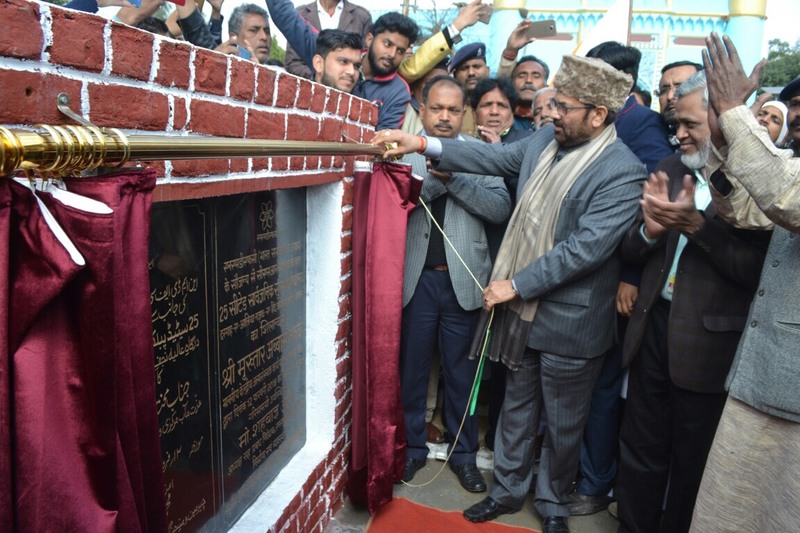 ''The minorities can be brought into mainstream development process of the country only through their economic, social and educational empowerment,'' he said. 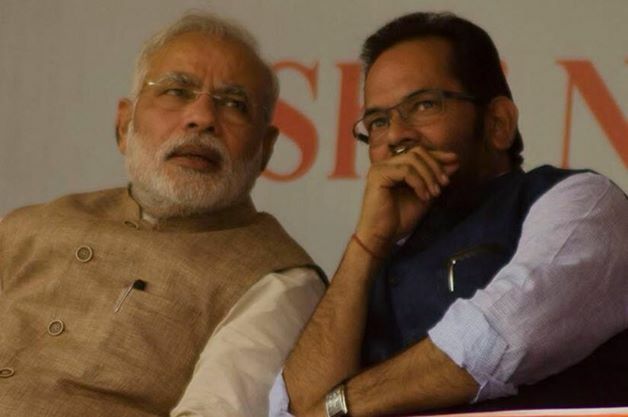 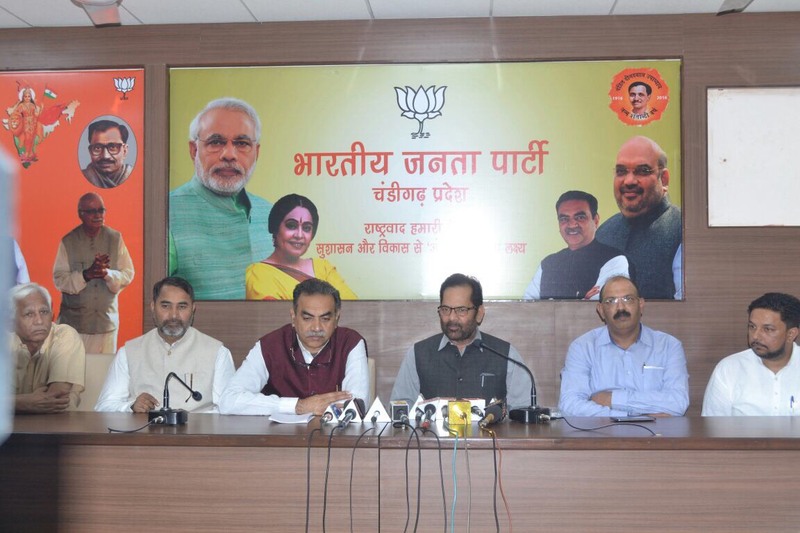 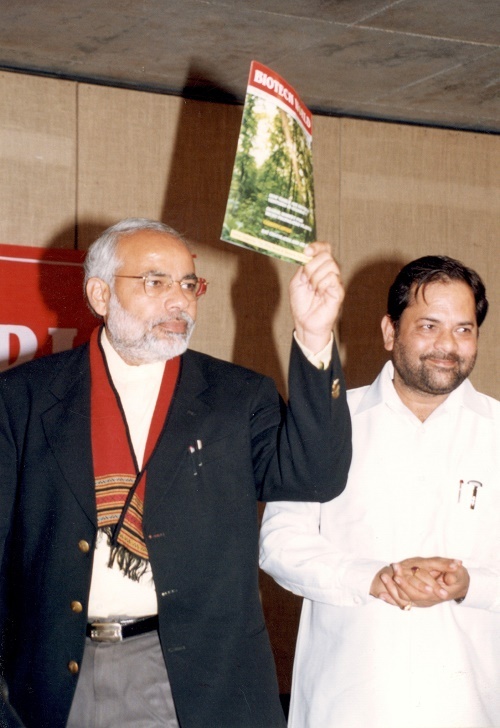 Shri Naqvi said after formation of the BJP-led NDA government under the leadership of Prime Minister Narendra Modi, a positive environment has been created among the minorities and this is the reason that terrorist organisations have been failed to misguide and lure Muslim youths to their nefarious activities. 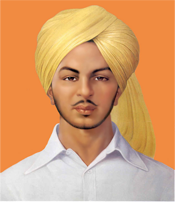 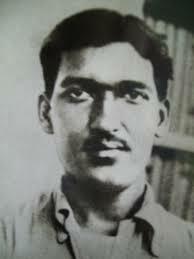 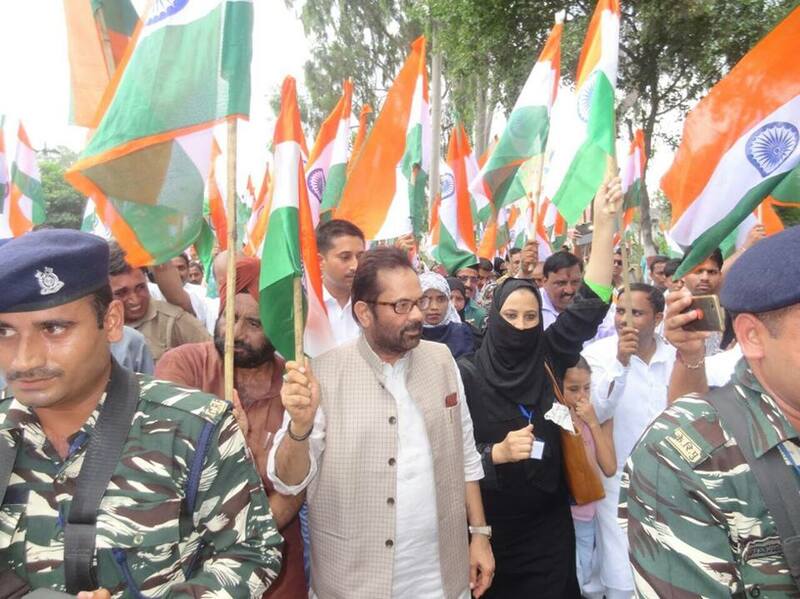 The anti-national forces have been isolated and demoralised due to strict response of Muslims against any form of terrorism. 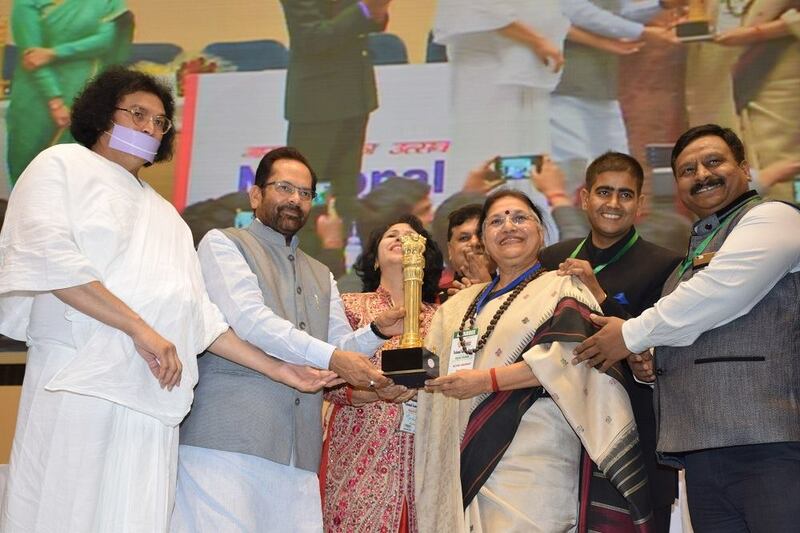 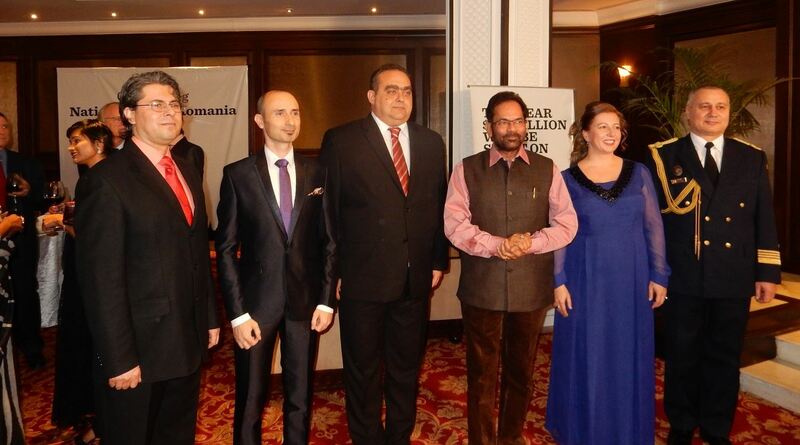 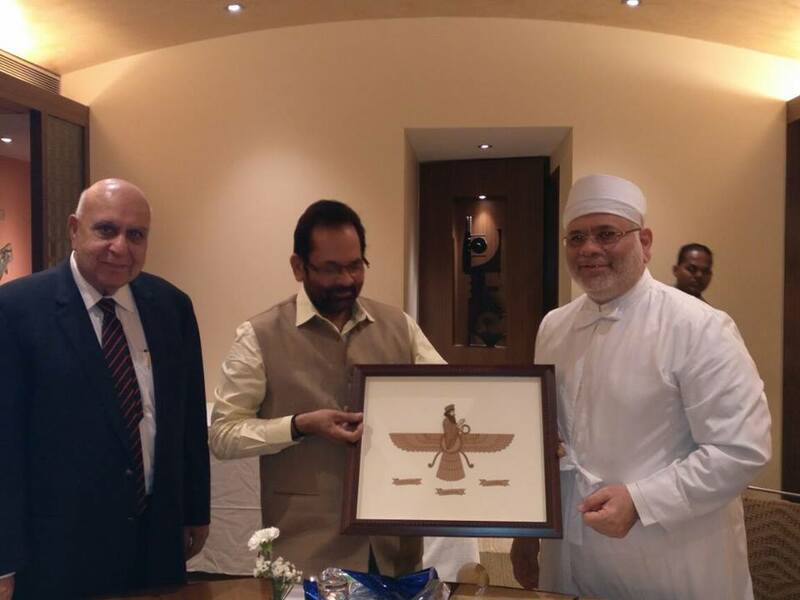 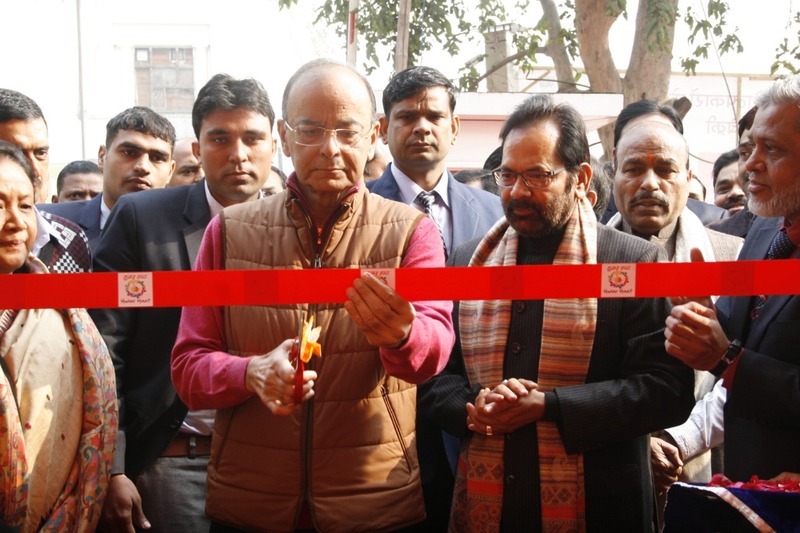 Expressing that discrimination and political exploitation has been an obstruction in the path of development of minority communities, Shri Naqvi said there is a need to move forward with linking the development of minorities with the nation's development. 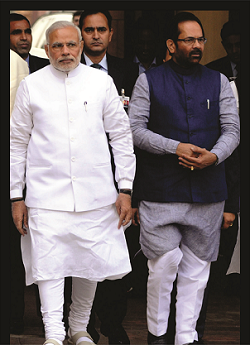 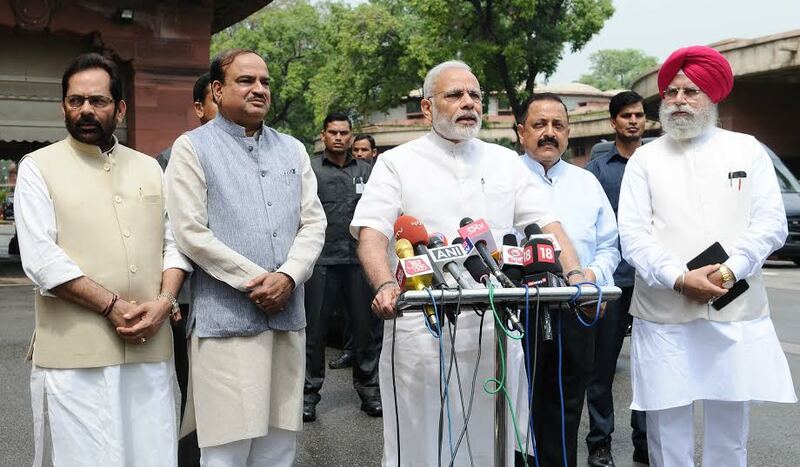 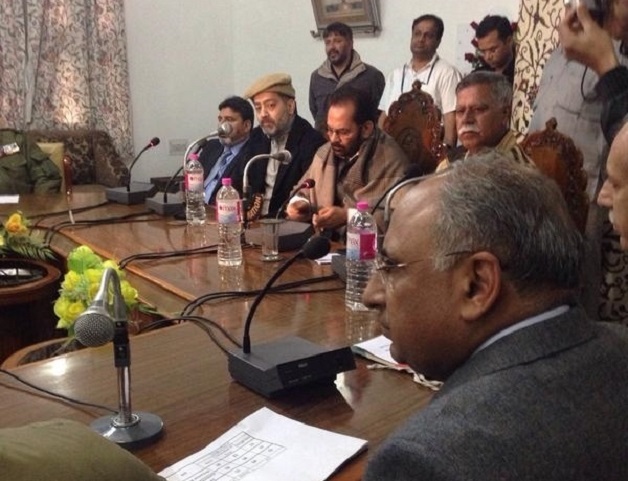 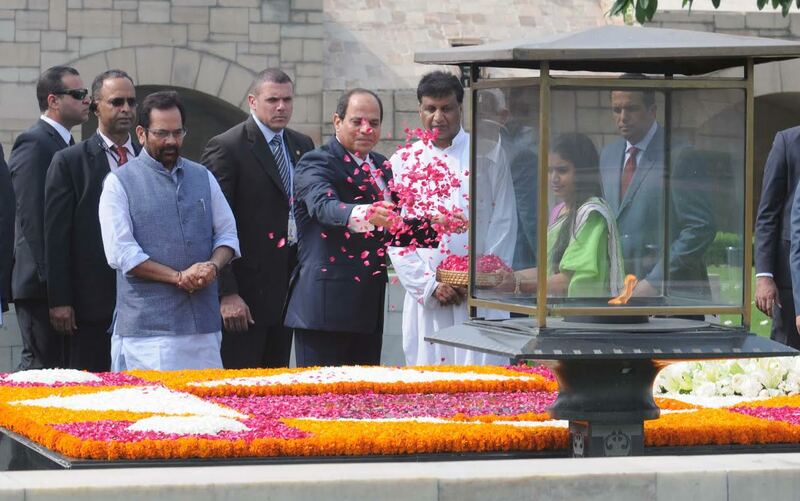 He said a strong political will is needed to instil a feeling of development alongwith security among the minorities. 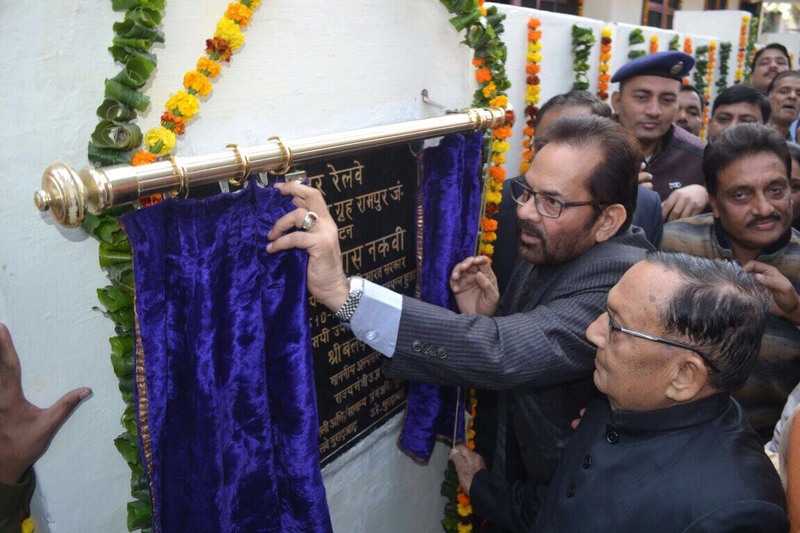 ''Prime Minister Narendra Modi's development mantra ''sabka sath sabka vikas'' is a sign of this honest political will,'' Shri Naqvi said. 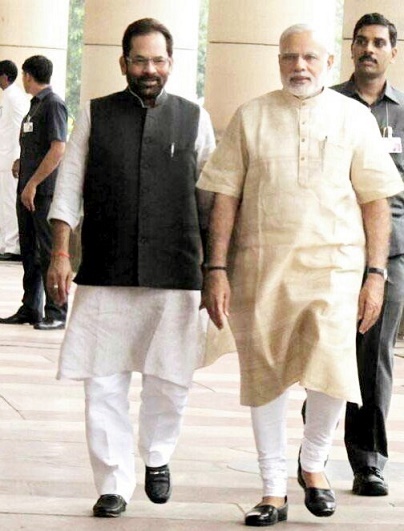 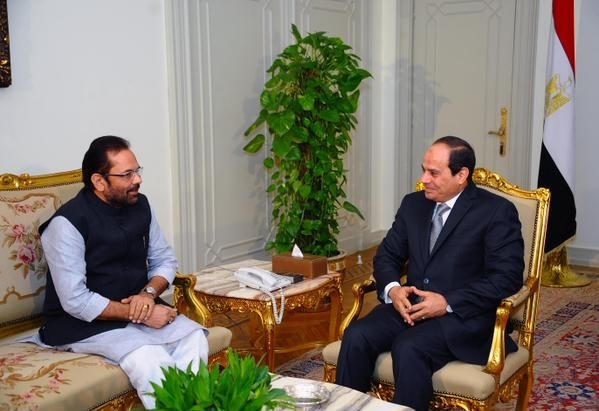 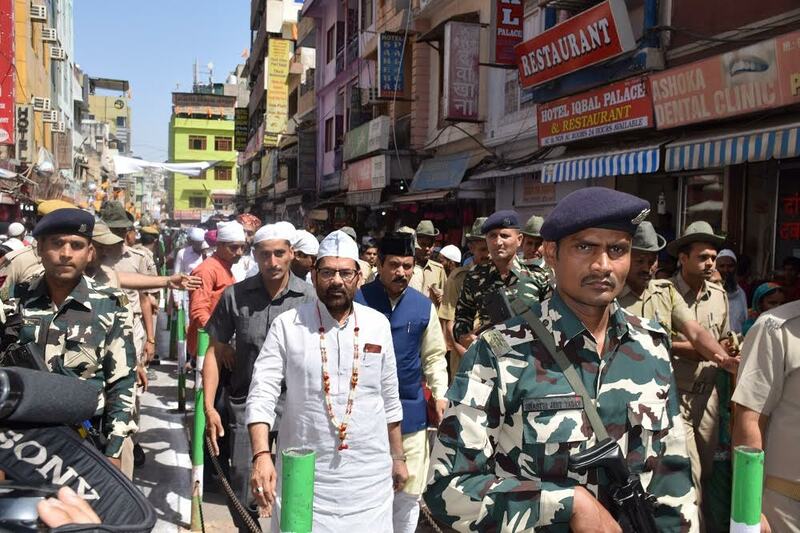 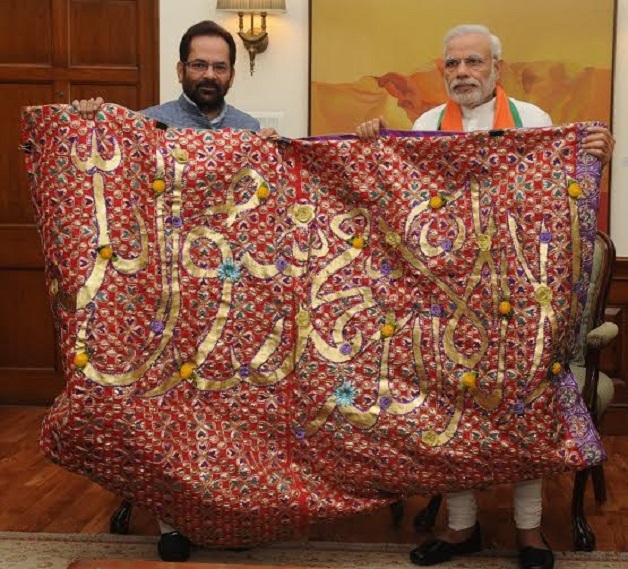 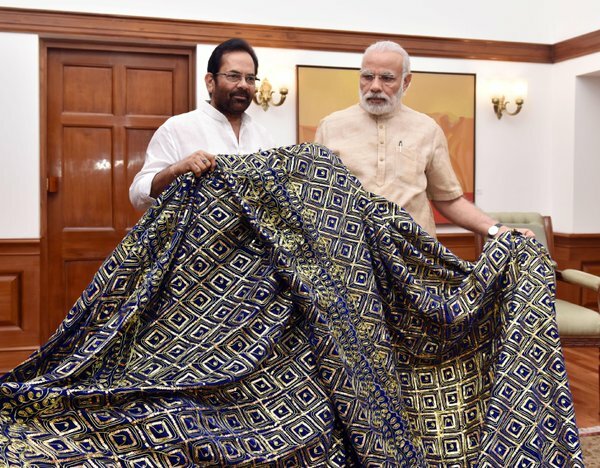 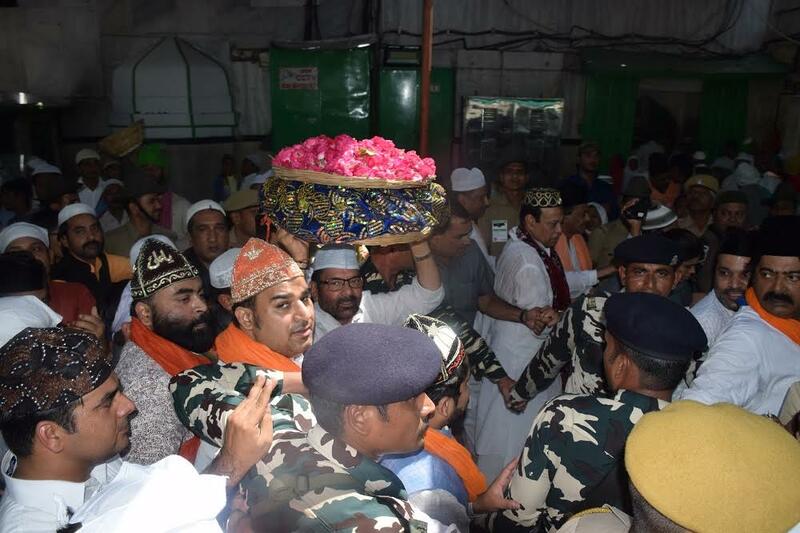 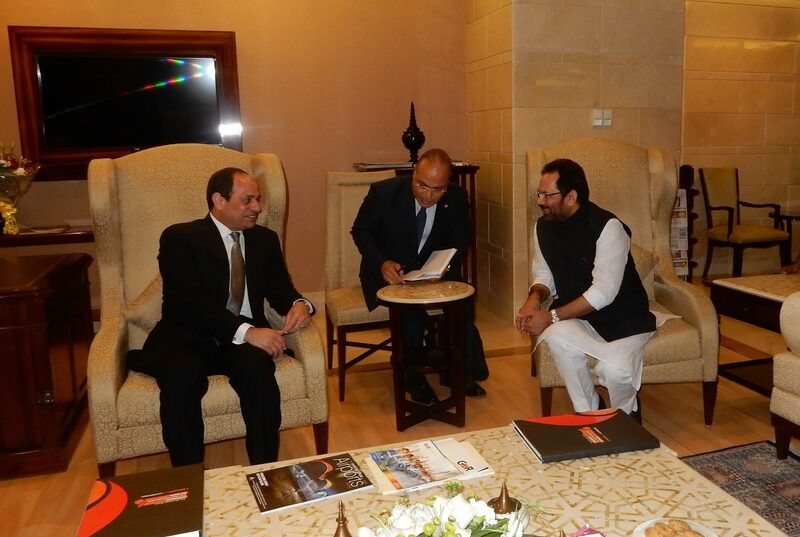 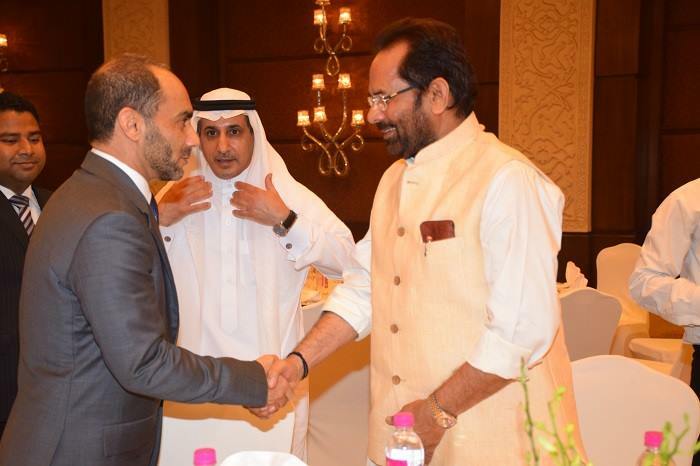 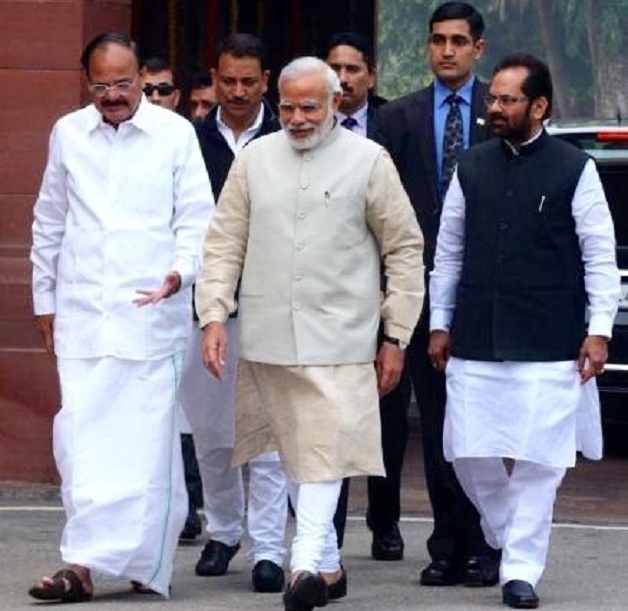 Shri Naqvi further assured that exploitation and arrest of innocent Muslim youths in connection with terror or other anti-national activities has been stopped since the NDA government took charge at the Centre. 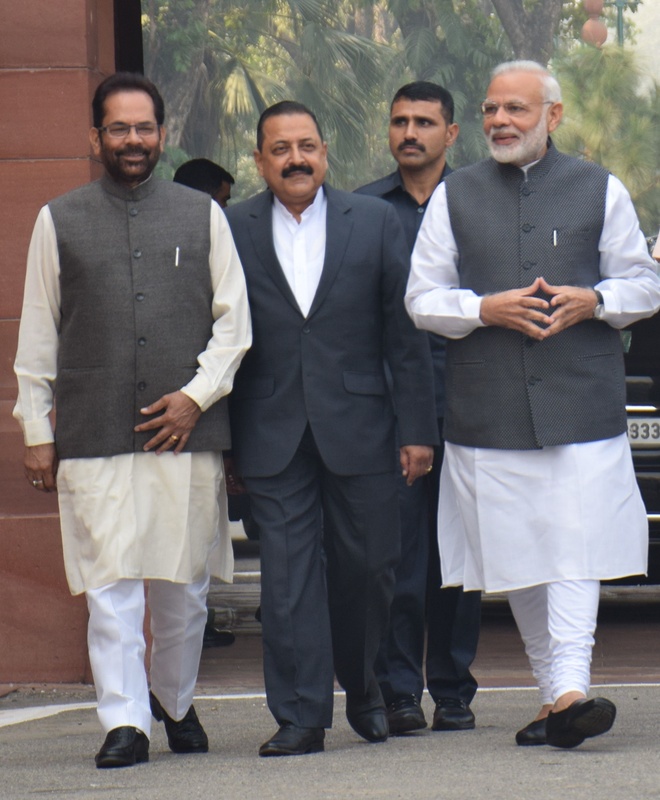 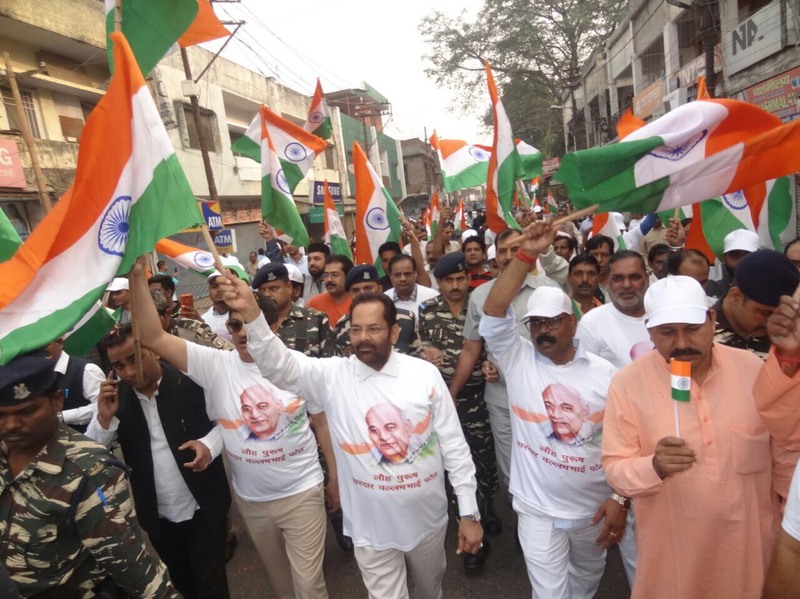 He said the NDA government has initiated welfare measures for over-all development of the minorities-- Muslims, Sikhs, Christians, Buddhist, Parsis, Jains. 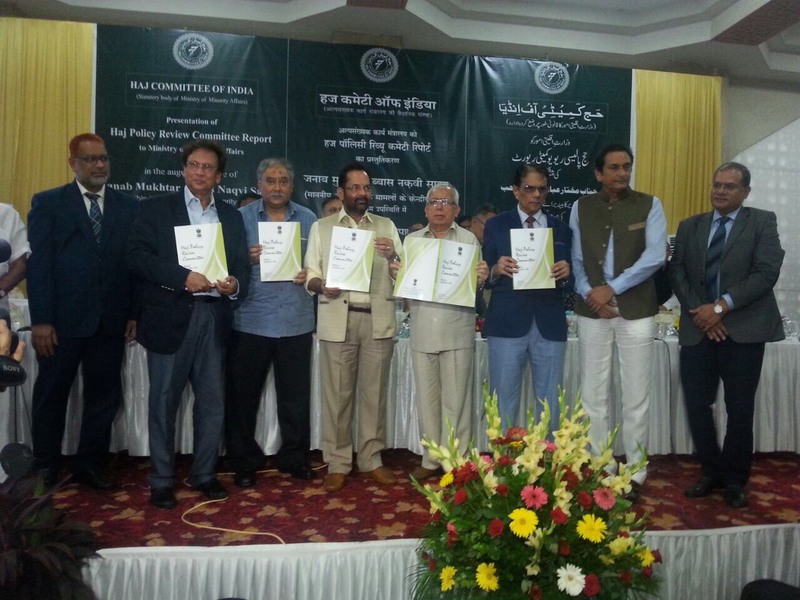 The government has started several schemes for their welfare such as ''Nai Roshni', 'Sikho aur Kamao', 'Jiyo Parsi', 'Padho Pardes'. 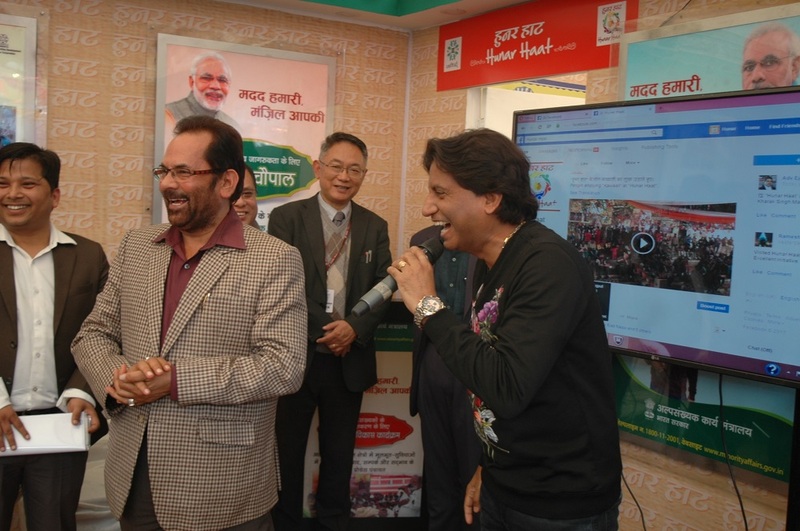 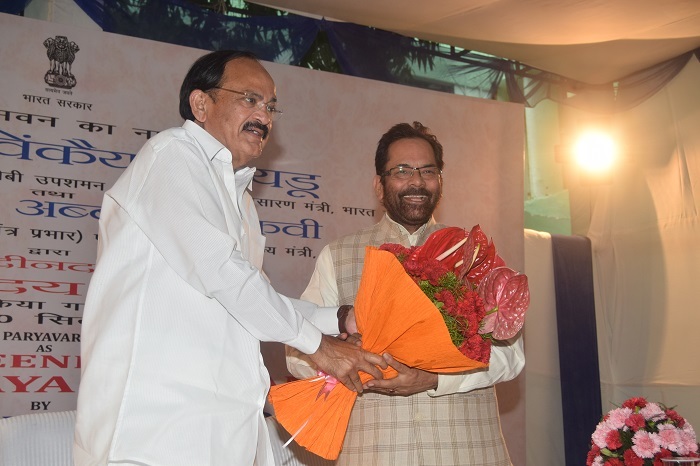 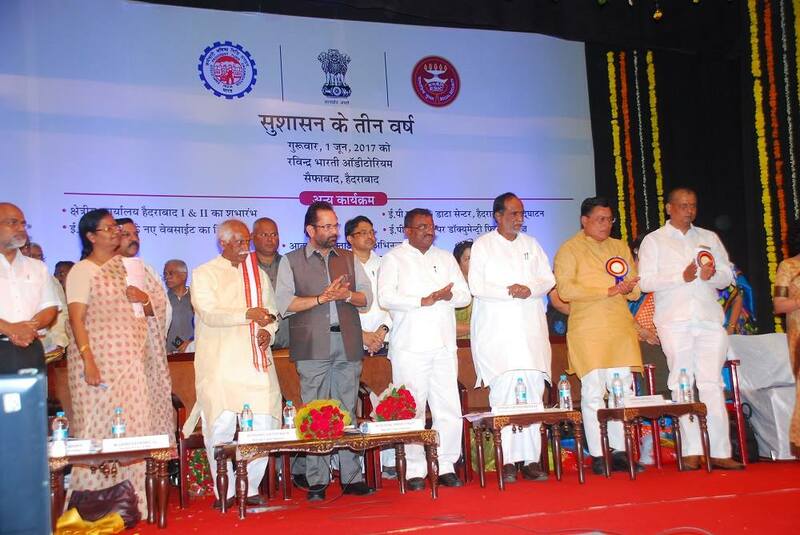 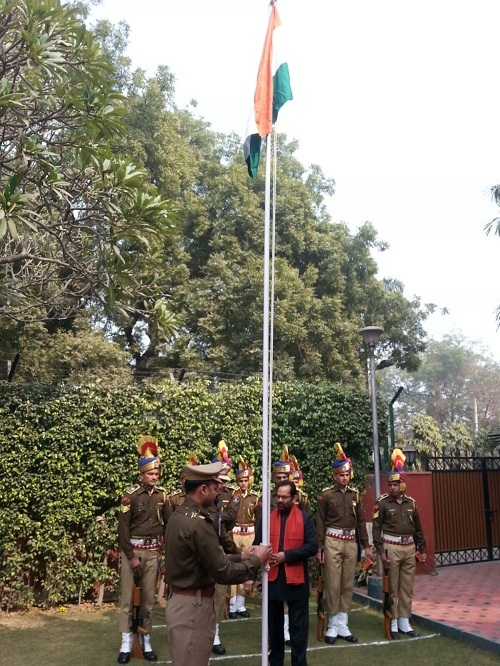 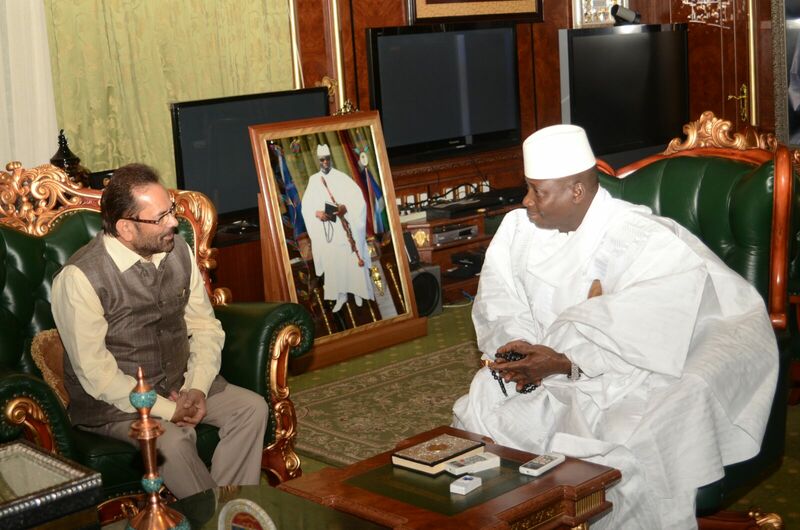 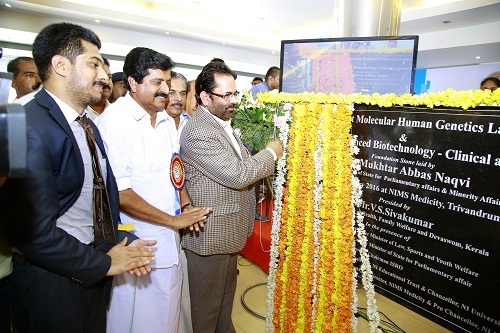 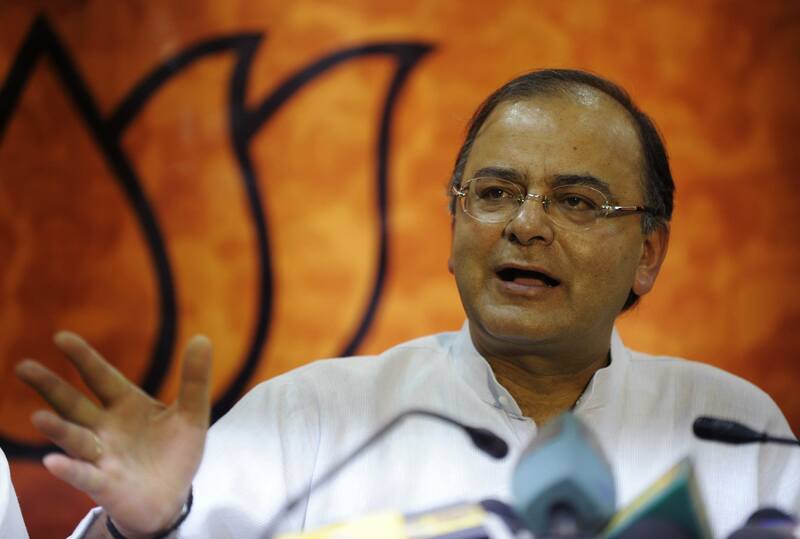 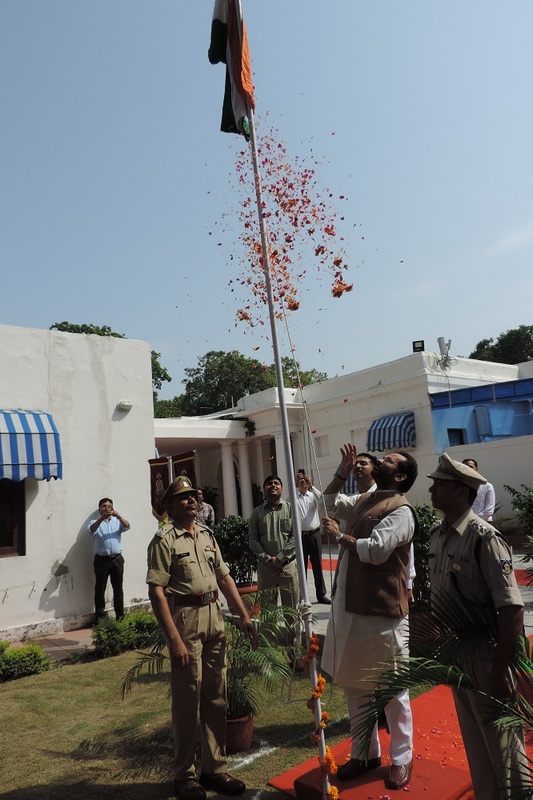 However, Shri Naqvi asserted that only government's efforts are not sufficient for their development and improvement. 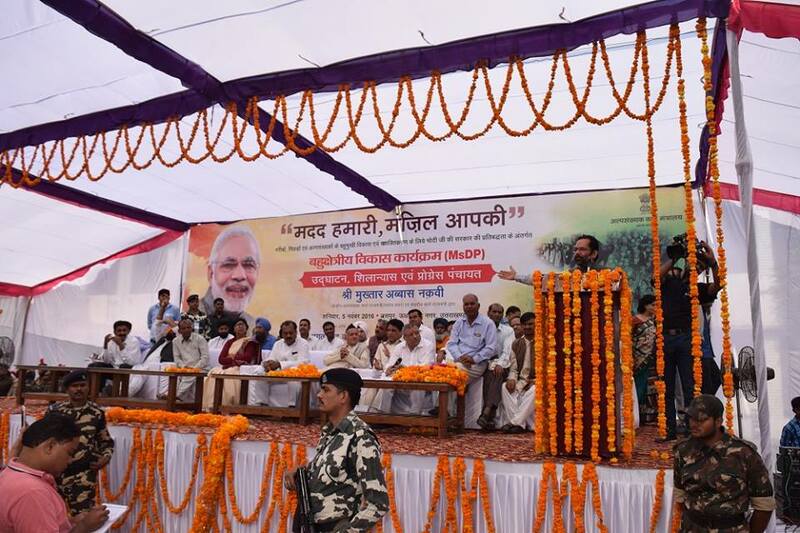 There is a need for corporate houses and non-government organisations, under their corporate social responsibilities, to come forward and help the government in socio-economic development of minorities to fulfil the dream of inclusive growth. 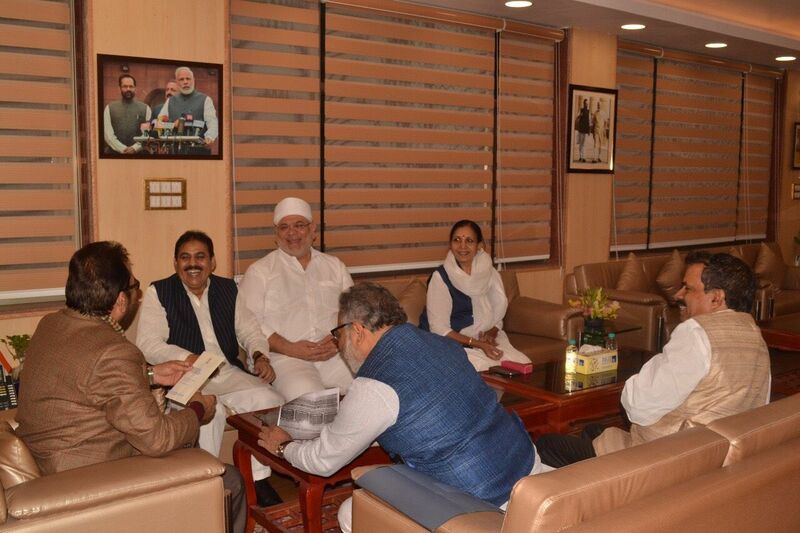 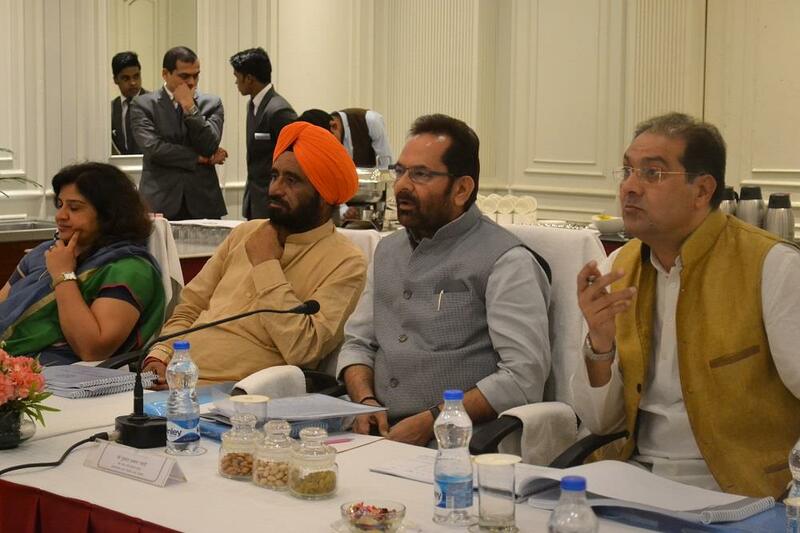 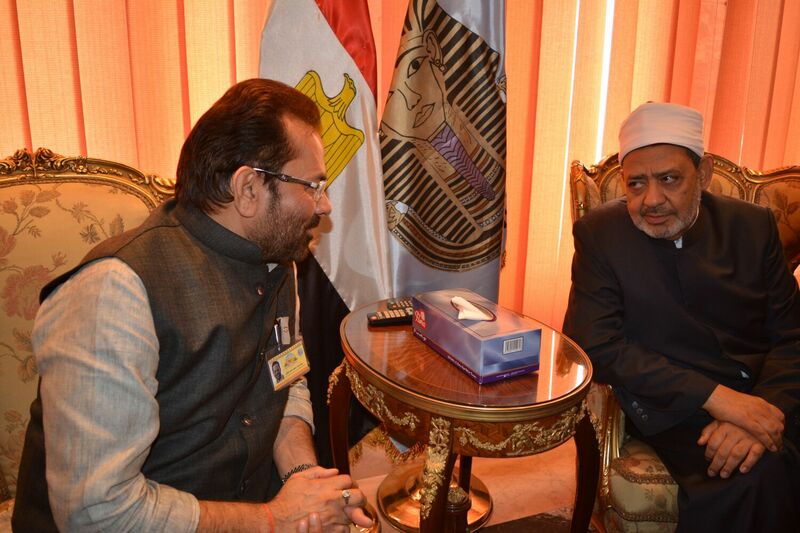 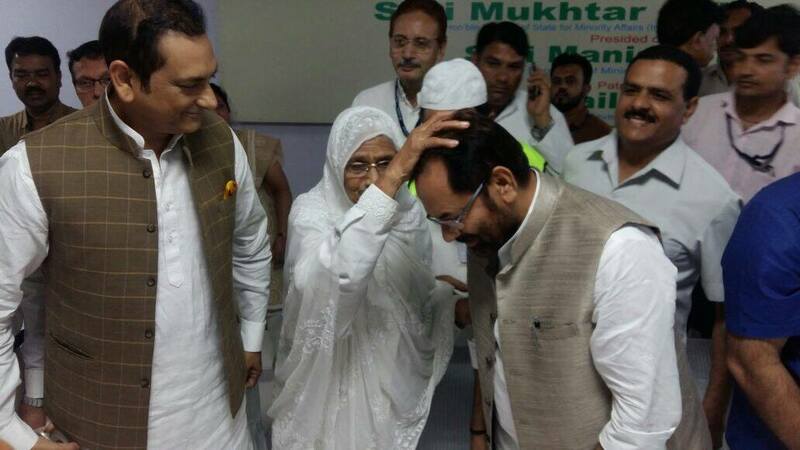 Shri Naqvi also stressed on improving health and education of minorities. 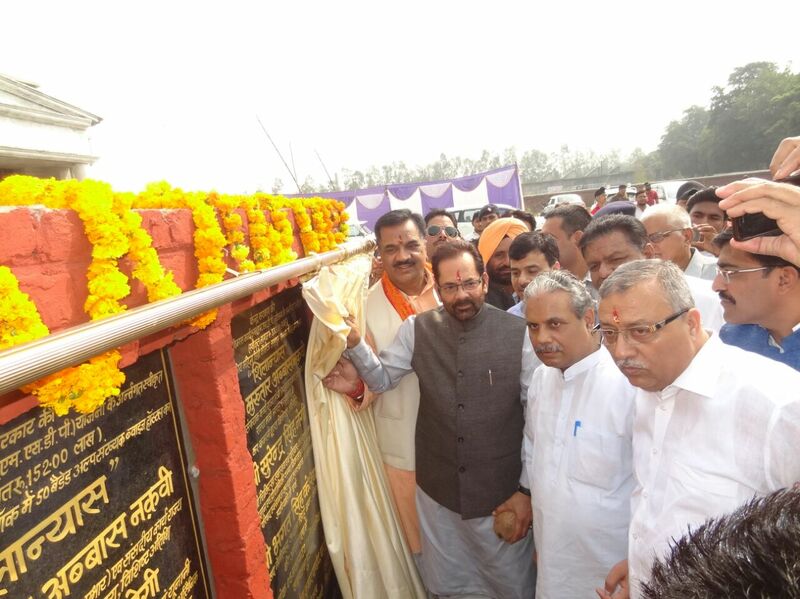 We should make efforts to utilise all the available resources so that we can ensure quality development of the minorities. 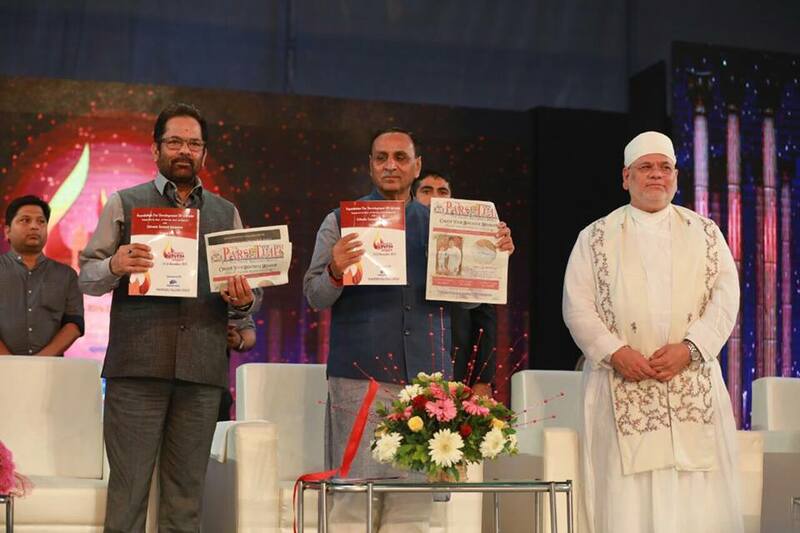 There is a need to provide quality educational institutions to the minorities. 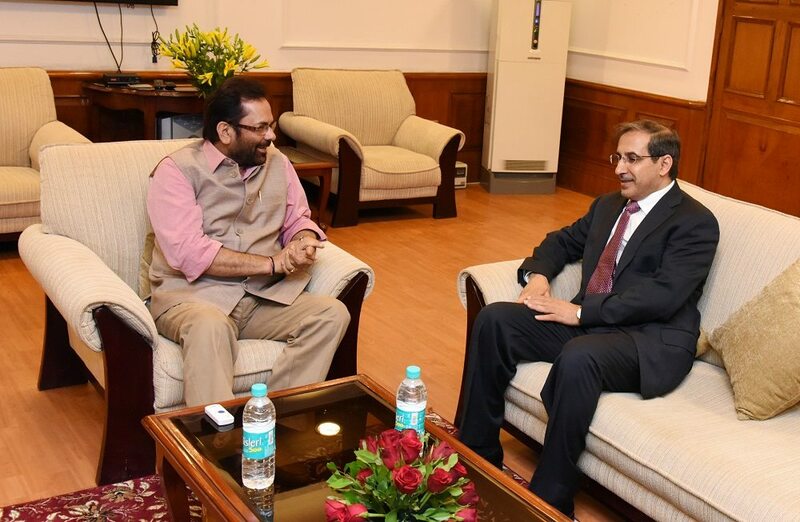 He expressed that the annual conference of State Minorities Commission is an important platform to discuss, debate and resolve common as well as contentious issues related to minority communities. 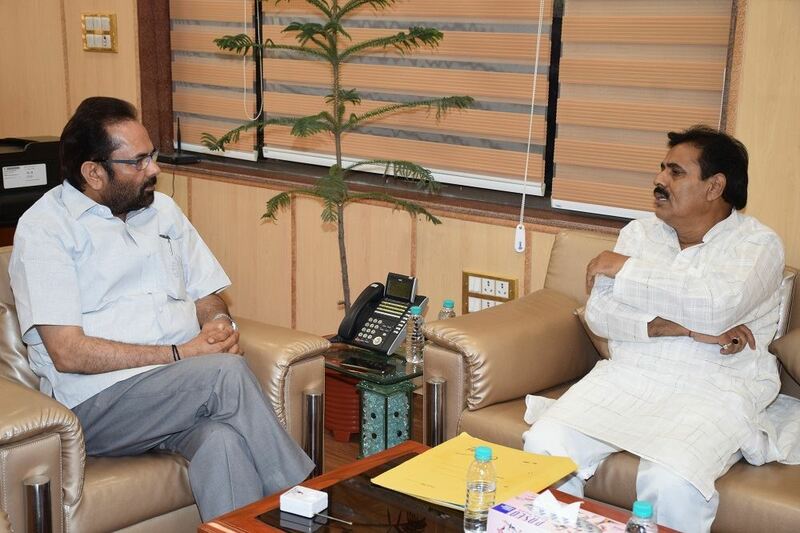 ''I hope those states who have yet to establish State Minorities Commission in their respective states, will do so soon so that required and adequate attention can be given to welfare of minorities in these states. 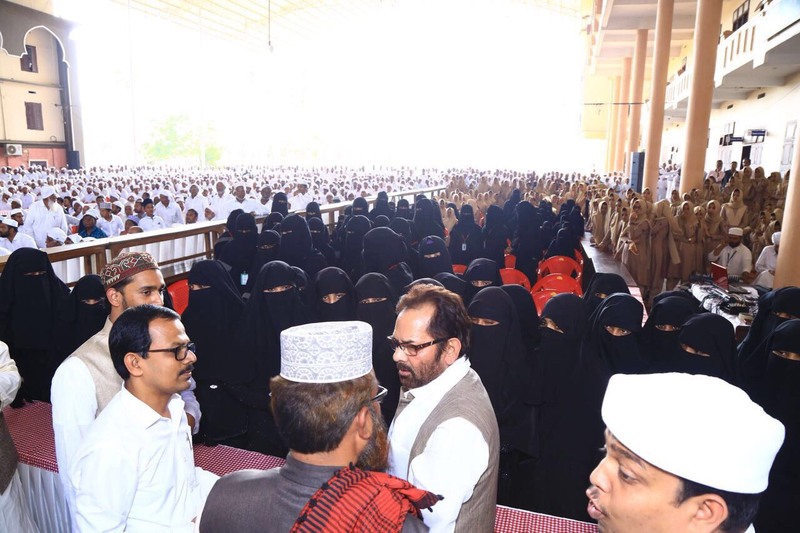 Our government is having a sensitive approach towards aspirations of the people especially minorities and we will not leave any stone unturned to fulfill these aspirations'' Shri Naqvi said. 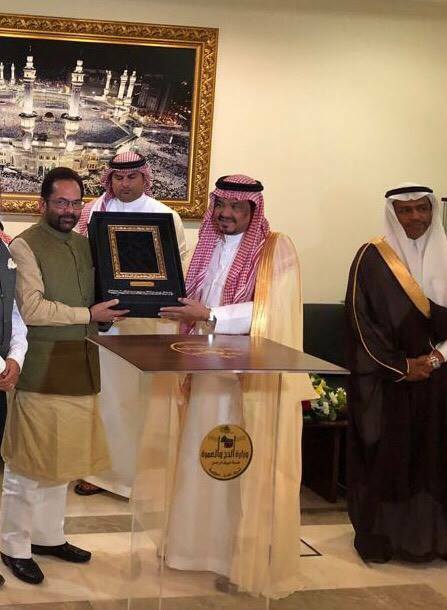 He also pointed out that the money meant for different schemes for economic,social and educational development of the minorities is taken by ''middlemen and agents of power''. 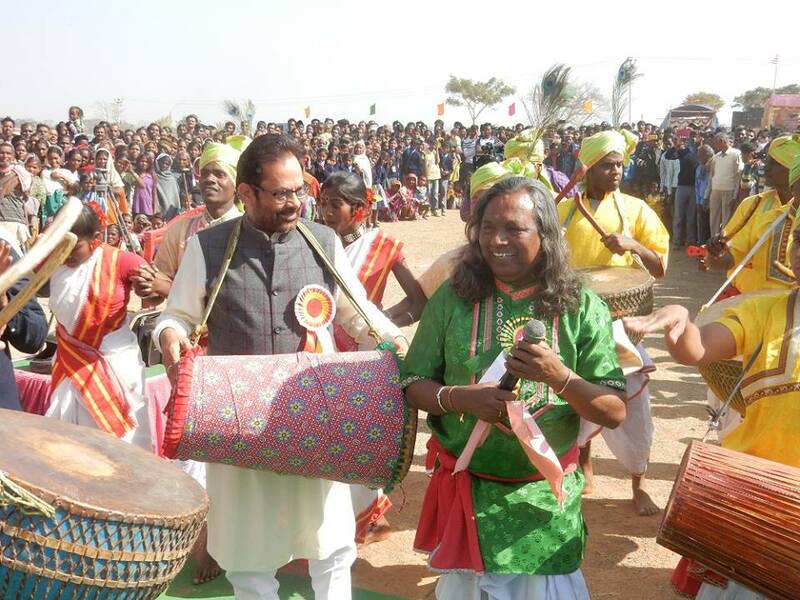 Benefits of crores of rupees given for development do not reach to the poor people and minorities. 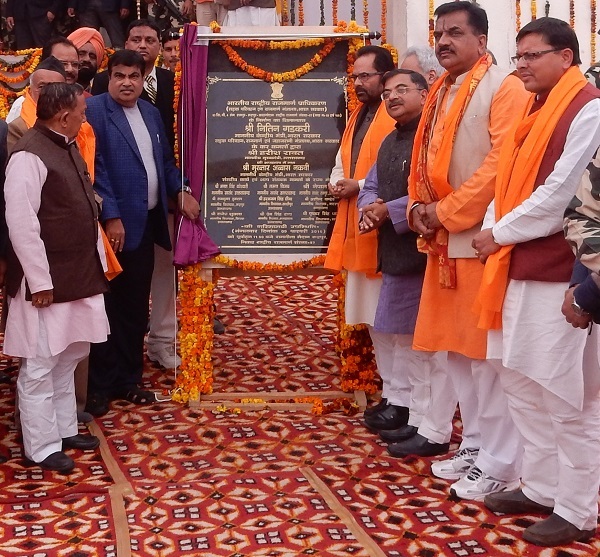 'Even a single person from the minority communities should not have been left illiterate or below poverty line after spending so much money from the government exchequer for their welfare, but middlemen and dishonesty is a hurdle in this work. 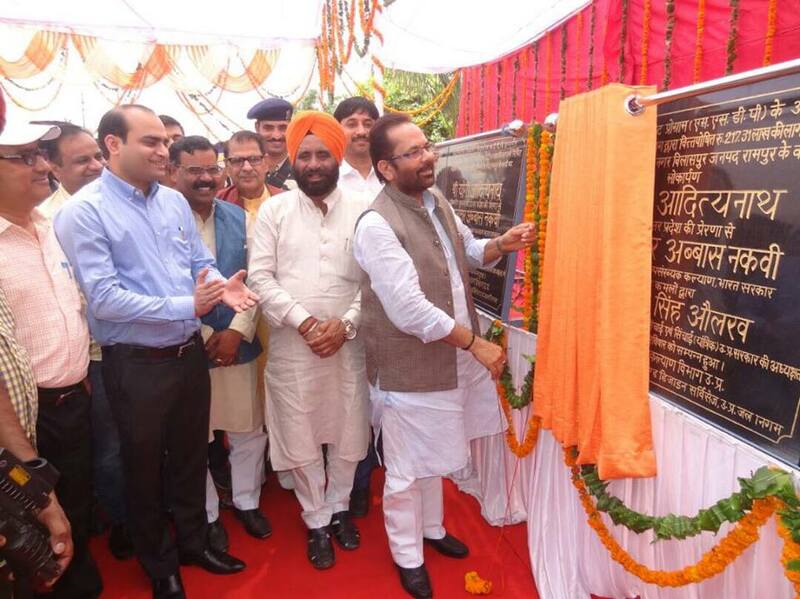 Our government is committed to implement development schemes with honesty and transparency, and we are also keeping an eye on those people who are involved in loot of public money,'' Shri Naqvi said. 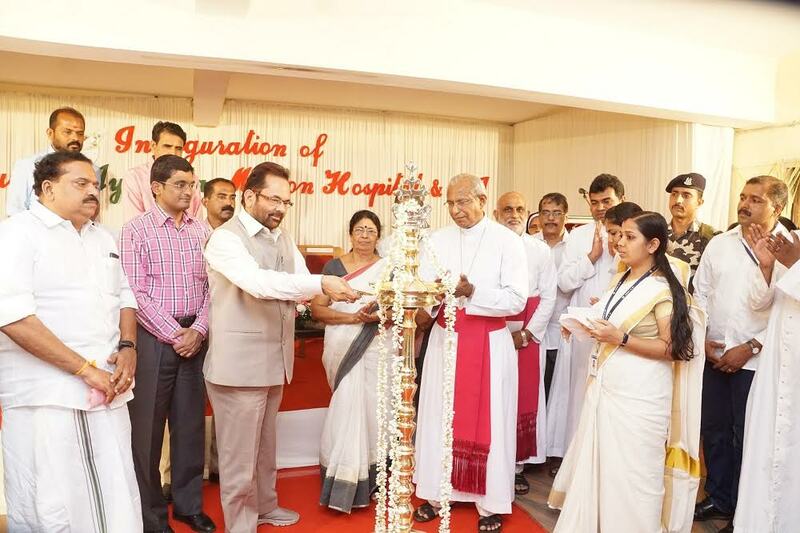 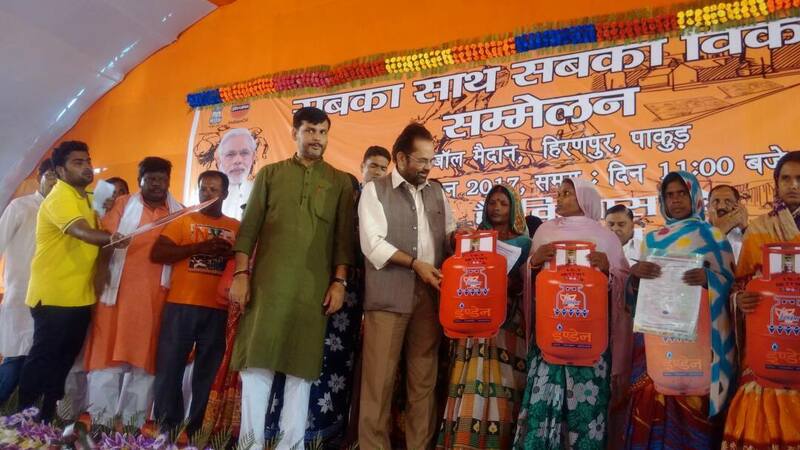 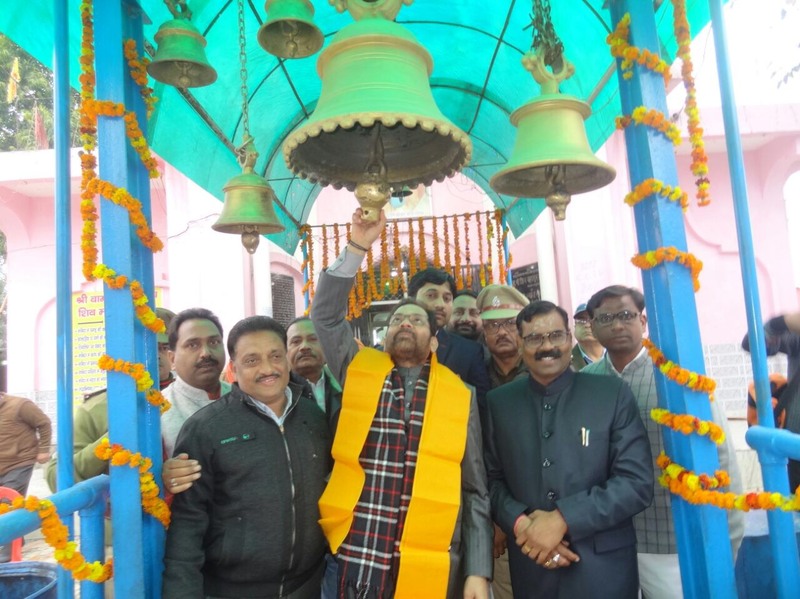 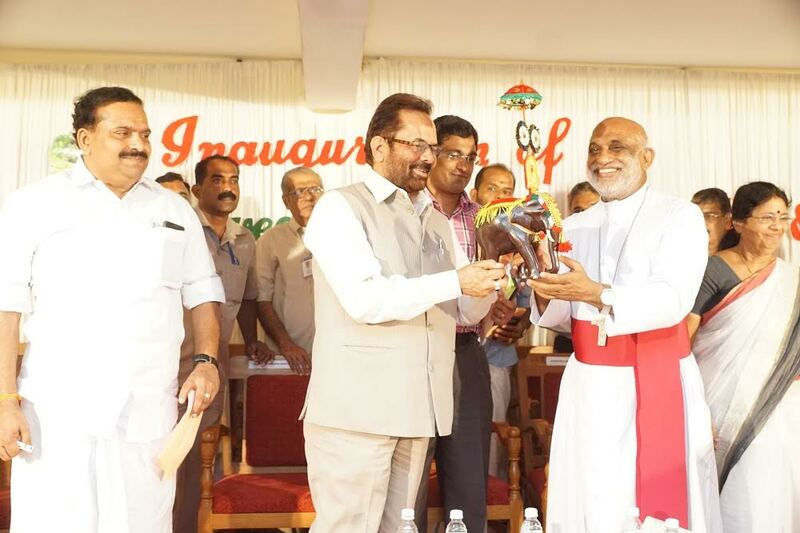 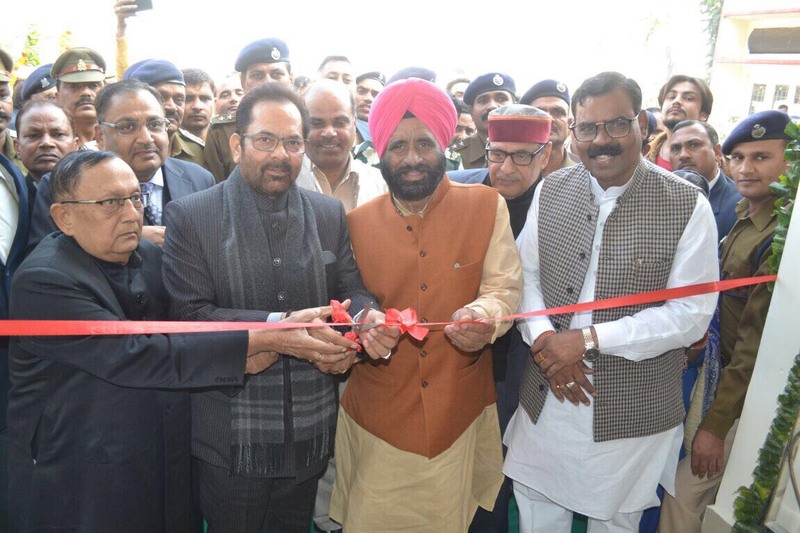 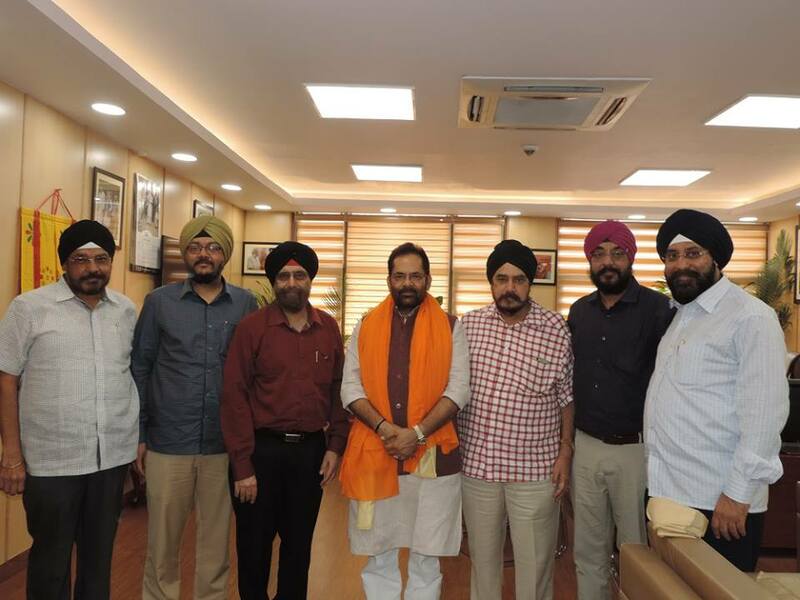 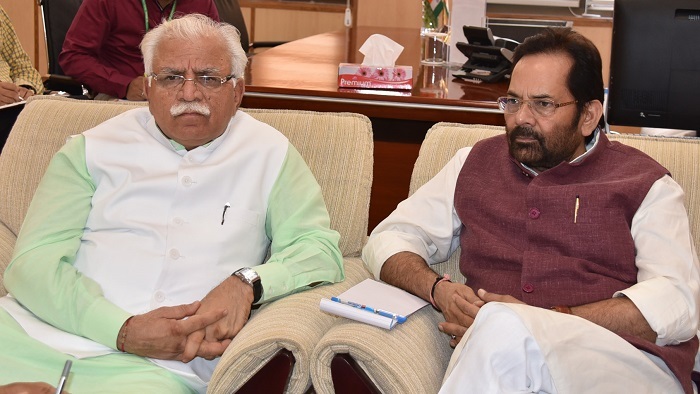 Shri Naqvi said the NDA government has intitiated ''Mission Empowerment'' and under this mission, the government is visiting various areas of the country to take stock of situation regarding implementation and functioning of welfare schemes meant for the minorities. 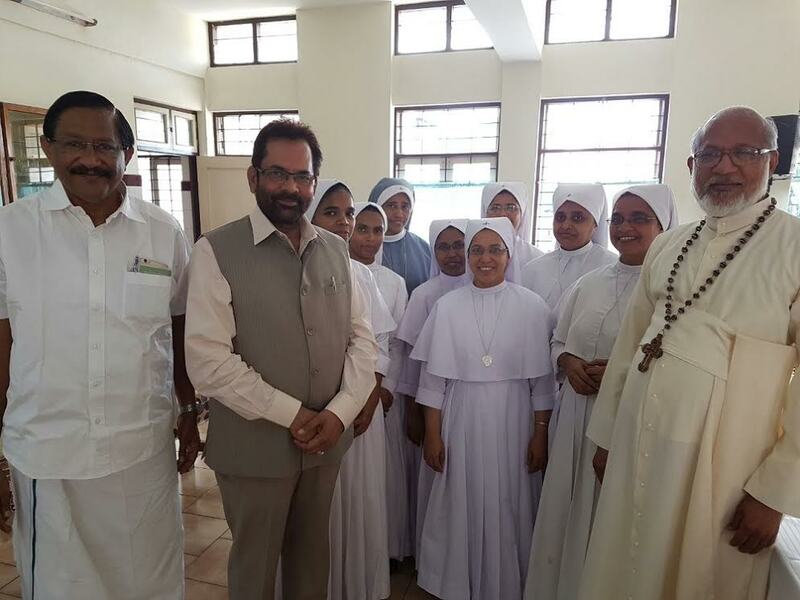 Under the ''Mission Empowerment'', we are also having consultation and dialogues with different sections to understand real requirements of the people belonging to the minority communities. 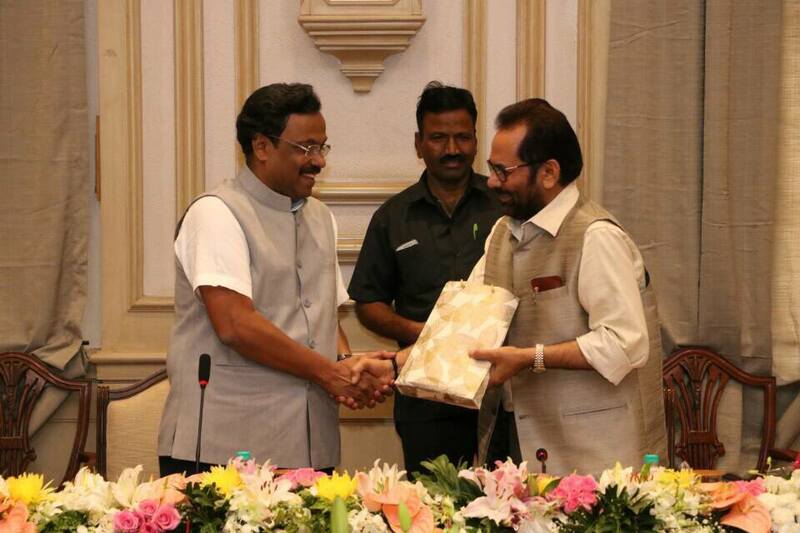 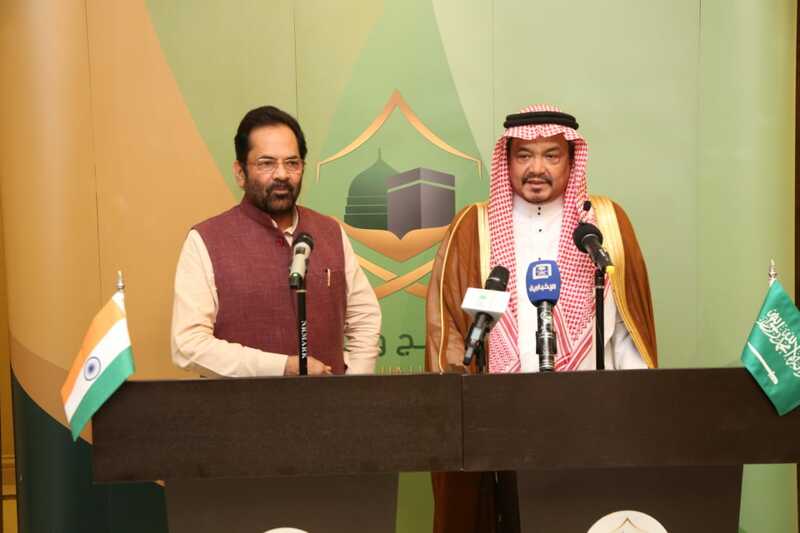 Shri Naqvi said under the programme, meetings have taken place with State Ministers for Minorities in states like Rajasthan, Kerala, Telangana, Maharashtra and Karnataka. 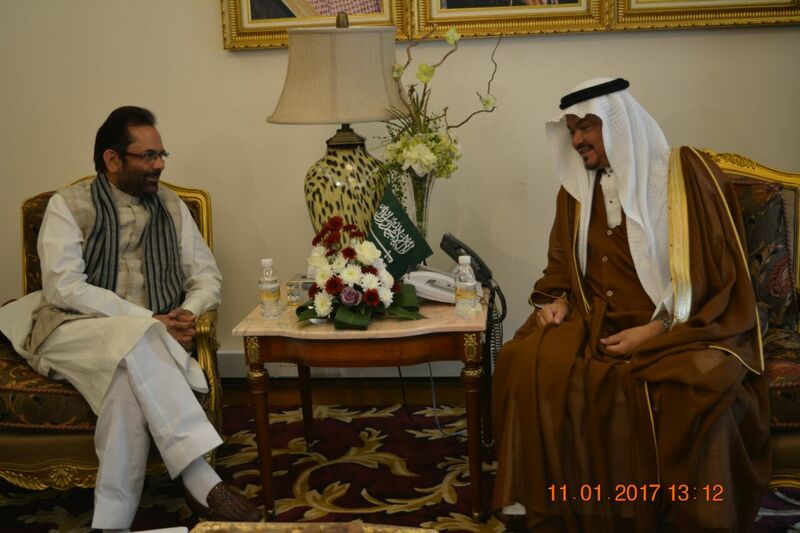 He said such cooperation and dialogues with states and various social groups will benefit the government to understand and effectively implement different welfare schemes for the minorities. 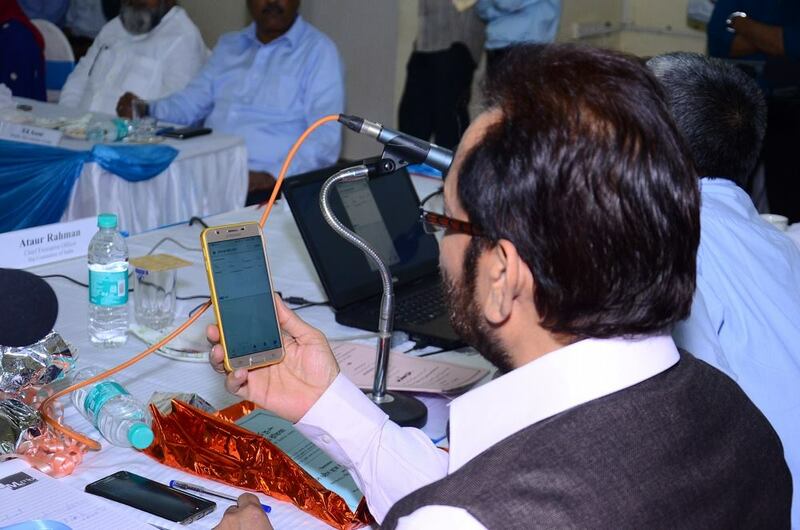 ''We are taking concrete and effective measures to take forward this mission with other states also to provide benefits of these schemes directly to the needy people,'' Shri Naqvi added.